A number of people have actor Zach Braff to thank for one thing or another. High on the list is American troubadour Joshua Radin who, having self-taught himself to write and perform delicate acoustic music, was hoping for that big break when the Scrubs star Braff heard his track 'Winter'. Himself a writer and director (not least of Sundance selected 'Garden State'), Braff recommended the track and its composer to the Scrubs team. Soundtrack credits on US shows Grey's Anatomy, House and Brothers & Sisters followed, among others, and Radin fast earned a reputation for poignant, sincere acoustic folk that brought many a grey hospital corridor to life. Radin also began to provide the soundtrack to the lives of sensitive twenty-somethings around the world. His 2006 debut, 'We Were Here', charted poorly in the US but 2008 follow-up, 'Simple Times' was a big hit, reaching No 2 on the US indie chart and the top ten in the UK. His third record, 'The Rock and The Tide', was released in the UK at the start of August, making the top 40 download chart. Radin is bringing the new material to the UK and Ireland in the autumn. The short tour begins at Edinburgh Picture House on Friday 7th October, followed by shows at Birmingham's O2 Academy and the Manchester Academy, before the final gig of the run at London's Shepherd's Bush Empire on Tuesday 11th October 2011. We have tickets for all four dates available now, priced £17.50 for London and £15.50 for other dates. 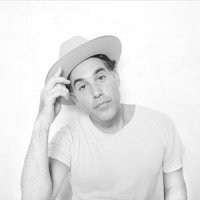 Ahead of the October dates, Joshua Radin is also appearing at Guinness Arthur's Day at the Dublin Academy on Tuesday 22nd September, alongside Paloma Faith and Miles Kane. We have tickets available now, priced €15.